This past week, Houston Zoo conservation affiliates were awarded the 2017 National Geographic Society/Buffett Awards for Leadership in Conservation. This award was established by the Society and The Howard G. Buffett Foundation to recognize and celebrate unsung heroes working in the field. Two recipients are chosen each year – this year Dr. Olivier Nsengimana received the award for Leadership in African Conservation and Rosamira Guillen received the award for Leadership in Latin American Conservation. Dr. Olivier worked as a field veterinarian with Gorilla Doctors before founding his own project, the Rwanda Wildlife Conservation Association, working to protect the endangered grey crowned cranes from illegal wildlife trade. 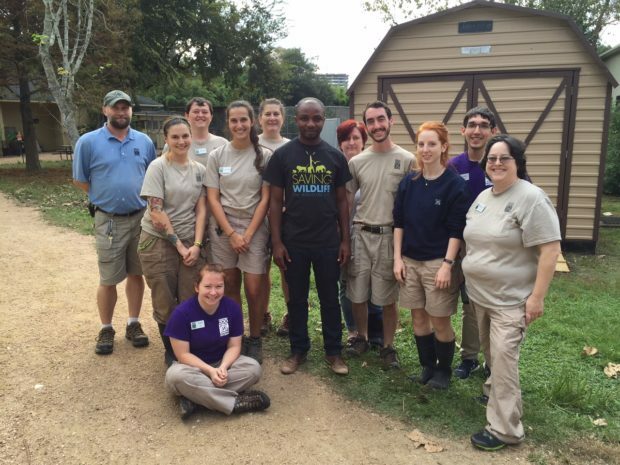 The Houston Zoo has been supporting Olivier’s project for the past two years. Through community engagement and education, Olivier works to rehabilitate and reintroduce cranes into the wild. 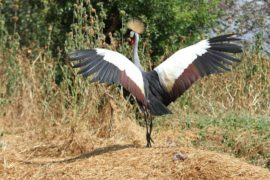 So far, the project has reintroduced 127 grey crowned cranes back into the wild. 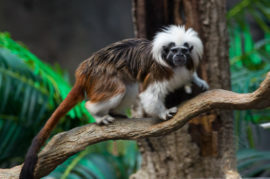 Rosamira has worked tirelessly to protect Cotton-top tamarins, an endangered species of primate found only in Colombia. 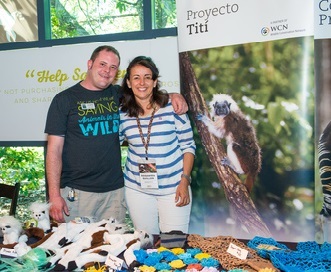 Rosamira cofounded Fundación Proyecto Tití to study cotton-top tamarins and educate the local community about the need to protect them. An important part of the project are the innovative strategies used to empower local people to get involved in protecting cotton-top tamarins. One strategy is the creation of Tití Posts – fence posts made from recycled plastic. These posts last longer and are more durable than wooden posts. A huge congratulation to Dr. Olivier Nsengimana and Rosamira Guillen! You are supporting their work every time you visit the Houston Zoo, as a portion of all tickets and memberships goes toward saving these animals in the wild!